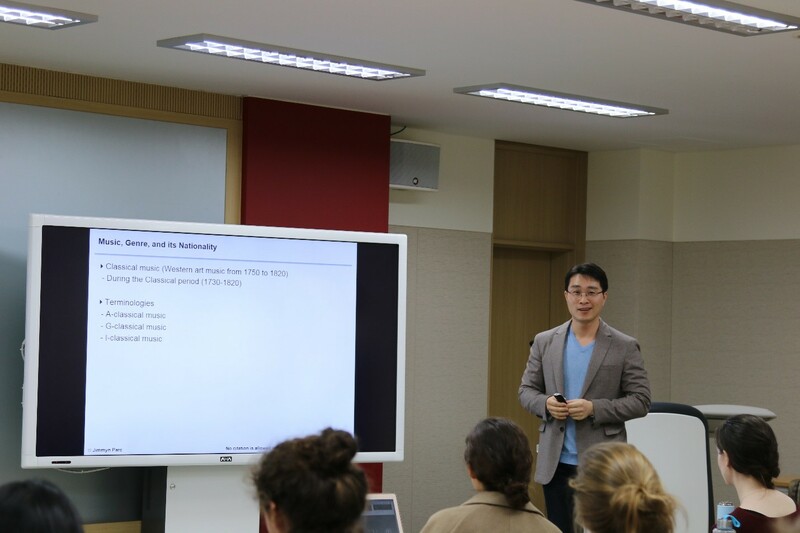 As part of Jean Monnet Centre of Excellence program, the EU Centre hosted a special lecture on the 14th November 2018, given by Jimmyn Parc (Ph.D.) gave a lecture on the topic “Protectionism and Growth of Cultural Industry”. Jimmyn Parc Ph.D is a visiting lecturer at Sciences Po Paris and is an associated researcher at the EU Centre in SNU GSIS. 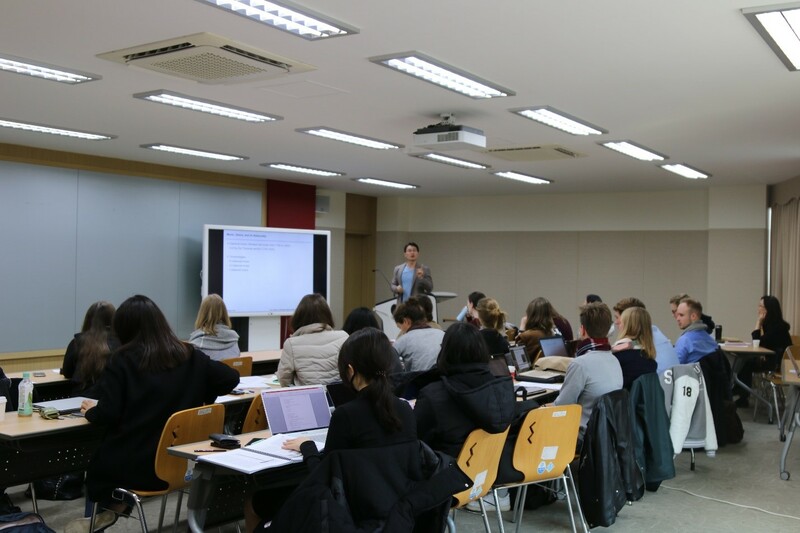 The lecture was an extension of the lesson on Korea-EU FTA and focused on the competitiveness of the cultural market, of which was explained through the strategies of business systems and culture with historical insights. By providing historical background as evidence, students were asked to differentiate the location of the origin and commercialization of specific culture (ex. ballet, tomato festival, etc.). The lecture also touched on the types of protectionism and the surprisingly small role it plays in the growth of domestic cultural industries.